We’d love your help. 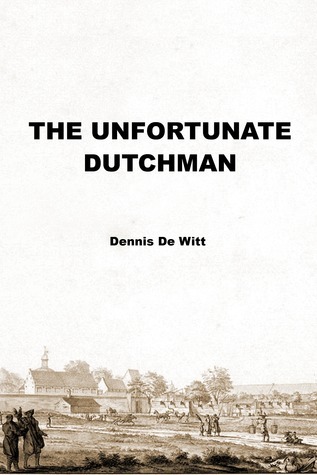 Let us know what’s wrong with this preview of The Unfortunate Dutchman by Dennis De Witt. Upon Jacob van Kal’s return to The Unfortunate Dutchman is a tale of the many trials and tribulations faced by Jacob van Kal, an employee of the Dutch East India Company (VOC), during this travels to the Far East and his return to Holland at the end of the 18th century. It tells of his journey together with his family to Batavia, then the seat of the VOC’s power in the East Upon Jacob van Kal’s return to The Unfortunate Dutchman is a tale of the many trials and tribulations faced by Jacob van Kal, an employee of the Dutch East India Company (VOC), during this travels to the Far East and his return to Holland at the end of the 18th century. It tells of his journey together with his family to Batavia, then the seat of the VOC’s power in the East, but only to find that he brought them to their doom as they contracted and died unknown tropical diseases. Unable to break the bond of his employment, he was transferred to a relatively unimportant Dutch colony in Malacca. There, he remarried but he eventually became entwined in tussle with the colony’s governor and it led him to be imprisoned and ultimately dismissed from his employment. To ask other readers questions about The Unfortunate Dutchman, please sign up.